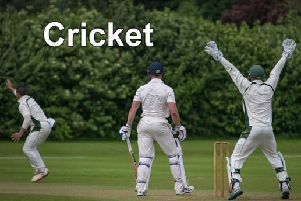 Lincolnshire County Cricket Club begin the defence of their Unicorns Eastern Division Championship against Norfolk on Sunday at Sleaford Cricket Club. The three-day fixture commences at 11am. The Lincolnshire team will be selected from the following squad: Carl Wilson (captain), Louis Kimber, James Kimber, Nick Keast, Joe Kendall, Alex Willerton, Jack Timby, Sam Evison, Dan Freeman, Matt Fowler, Ross Dixon, Joe Baker.